The weather is back and with him his lot of activities! This Saturday, April 20th, we're off to the season launch of the Leisure and Nature Park at La Porte du Hainaut in Raismes! Ideally located on the edge of the national forest, in an idyllic setting, this equipment is the ideal destination to come to ventilate, relax and have fun with family or friends! Give yourself a break from escape and a good mood, close to home! On Wednesdays, Saturdays, Sundays and public holidays, enjoy water sports, miniature golf, table tennis or petanque. Beautiful surprises are waiting for you! More information at the Tourist Office of La Porte du Hainaut +33 (0) 3 27 48 39 65 or contact@tourisme-porteduhainaut.fr Fill up on activities! This Saturday, April 20, the outdoor recreation park La Porte du Hainaut officially resume. 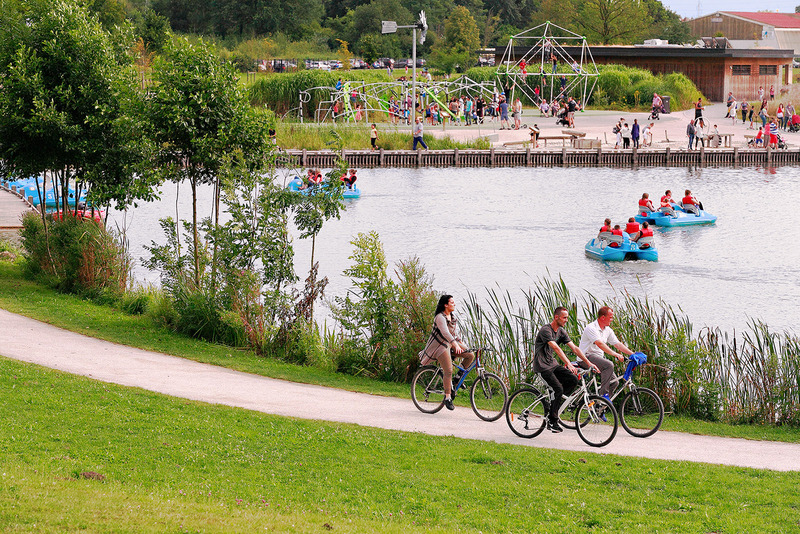 Pedal boat ride, mini-golf, table tennis or petanque ... The choice is yours! These activities are offered on Wednesdays and Saturdays, from 14h to 18h30, on Sundays and public holidays, from 14h to 19h. The central cash register is located at the Bar de l'Étoile. The rental of a 4-seater pedal boat for 30 minutes amounts to 7.50 euros, a mini-golf course to 3.50 euros per person, equipment rental for table tennis or petanque 2 euros per hour. Drinks and ice cream are on sale at Bar de l'Etoile. What an unforgettable moment! To discover the activities offered by the Leisure and Nature Park of La Porte du Hainaut, go on Saturday, April 20, 2019, Avenue de la Fontaine Bouillon in Raismes. Entrance to the Park is free and free! More information at the Tourist Office of La Porte du Hainaut +33 (0) 3 27 48 39 65 or contact@tourisme-porteduhainaut.fr Find all the news on www.tourisme-porteduhainaut.com and on its Facebook page ! Until30 April	Expo "Fleurs Et Grisaille, Ô Tour"
Sport Nature et Remise en Forme From to 109€	/pers.